The Liqui-Fuge LFP Perforated Rotary Drum Screen is an automatic, self-cleaning fine screen useful for applications from primary to membrane screening in municipal and industrial sewage treatment applications, designed specifically to protect secondary and tertiary wastewater treatment systems. 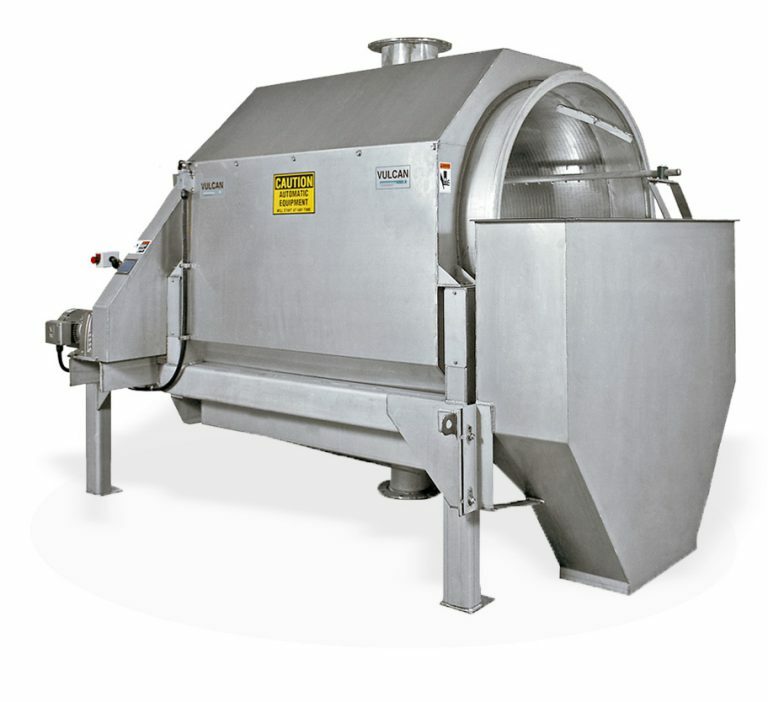 While other wastewater screening equipment technologies including MBR, IFAS and MBBR systems are fouled by hair, fibers and small particles, the fine opening perforated media of the Liqui-Fuge can effectively remove these materials in normal operation. The Liqui-Fuge LFP is designed to accept pumped flow and is internally-fed. Drum drive system composed of a gear motor and a reliable, smooth running cog belt drive that eliminates chain maintenance. Flow is pumped to the distribution tray where it is directed onto the rotating drum. Wastewater passes through the openings in the drum while the captured screenings remain on the drum surface. Flow capacities up to 6 mgd with screen perforations of 2 or 3 mm. Non-continuous flights inside the drum transport the screenings towards the discharge end of the drum. The screenings exit the unit and fall into a post screening device or a container. Spray water cycling is adjustable to ensure maximum performance. Couple this screen with one of Vulcan’s washing or screw presses and UL control packages for a complete screening, washing and dewatering system.